Altavoces: Monolautsprecher, Teclado: Virtuell, Launcher LG S-Class, 24 Meses Garantía, NFC-Modul, per MHL-Adapter kann das Smartphone an den Fernseher angeschlossen werden. Familiar devices. More than four months after the launch of the Google Nexus 4 the counterpart from LG is finally available. The specifications are almost identical but the price is much higher. This review will tell you how the South Korean flagship device performs compared to other high-end devices. 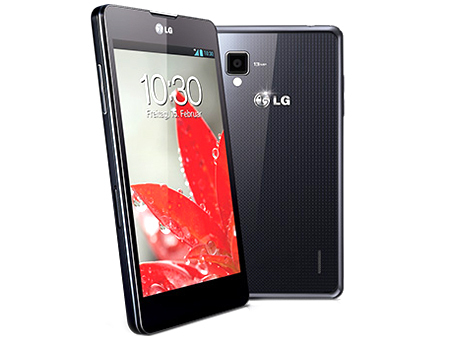 LG Optimus G Pro for AT&T: what's different? There are two unavoidable truths about the AT&T G Pro: it's $100 cheaper on-contract and better specced than AT&T's Note II (hello, Snapdragon 600!). For what LG's crammed into its oblong shell, the G Pro really is a bargain for power users. But it has one ugly mole (no, not that AT&T globe) that not even its stunning 1080p display can overshadow, and that's its less-than-stellar battery life. The LG Optimus G Pro is a rather fine piece of machinery. It’s offers you an alternative to the HTC One and/or Samsung GALAXY S 4 here up on the top tier with its similar display (larger, though again, with the same amount of pixels), identical processor, and surprisingly similar set of features. It also offers you a unique hardware build and a camera that’ll go very nearly toe-to-toe with the leaders.